​Ray Hammond is Europe's most experienced, most successful and most widely published futurologist.. For over 30 years he has researched, written, spoken and broadcast about how major trends will affect society and business in the future. Ray Hammond is Europe's most experienced, most successful and most widely published futurologist. For over 30 years he has researched, written, spoken and broadcast about how major trends will affect society and business in the future. Ray is also a successful and proven business leader and serial entrepreneur. 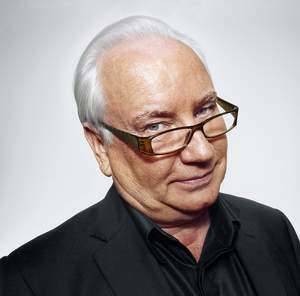 In 1974 he co-founded the company that today publishes The Daily Express, The Daily Star and OK! magazine. After selling his shareholding advantageously in that company he founded and led International Magazines plc which he later sold to EMAP International in a multi-million pound deal. Today, Ray is the author of 17 books about the future, a body of work which he began in 1980 and which stands as testament to the long-term accuracy and reliability of his foresight. He is now living in the future he first described three decades ago. Recently the Intel Corporation commissioned Ray to write a short story based on Intel's research for The Morrow Project. A podcast of Ray's story 'The Mercy Dash' can be heard here. As a gifted and inspirational keynote speaker, Ray is in world-wide demand by business, government and non-government organizations. His speaking topics include the impact of technology and innovation on business growth, the importance of sustainable business models and the continuing significance of globalization. Based in London, Ray also provides many academic lectures around the world. Listen here to his podcast for Oxford University, 'The Seven Key Drivers Of The Future' or you can watch video of his recent lecture for The Cass Business School at the University of London. Ray is a contributor to the Human-Computer Interaction Laboratory at the University of Maryland, U.S.A. and he is an elected Fellow of the U.K.'s Royal Society of Arts (F.R.S.A.). Ray Hammond provides keynote speeches and plenary presentations at conferences organized by the world’s leading companies, universities and governments. His inspirational and riveting speaking style – coupled with his long experience of public speaking – ensures companies are happy to trust him with even the largest and most important audiences. At ease with audiences of any size, Ray describes himself as being “at home” on a stage. He normally speaks without slides, notes or any other form of visual aid. Ray presents in English, but with long, world-wide experience of speaking to audiences for whom English is a second language, he has developed a speaking style that is clear, jargon-free and easy to understand by those whose understanding of English may be limited. When required, Ray is happy to use slides to provide audiences with visual re-enforcement. On request, Ray will also write and deliver specially-tailored seminars and workshops on a wide variety of future topics. ​A monthly digest of technologies, developments and trends that may shape our lives. Ray was fabulous at the Intel ‘Look Inside’ launch in Moscow. Ray has a natural gift for speaking. On behalf of 650 spellbound delegates, thank you Ray.Your keynote address was just brilliant and we have had rich feedback. Your address was incisive, relevant, encouraging, frightening, profound and funny.